Mín yǐ shí wéi tiān. Food is as important to people as the sky. This blog introduces three popular Chinese street food to you and your kids. The middle kingdom is famous for its rich food heritage. People in China consider cooking as a form of art, rather than a mean to keep alive. So we have chosen to keep revealing more facts and knowledge of Chinese food and cooking styles. But today, let’s deal with a more realistic question: if you are coming to China, where can you get some good quality food while not requiring you to have much know-how of Chinese food, Chinese language, and won’t burn a hole in your pocket? The answer, as far as I can see, is Chinese fast food restaurants! 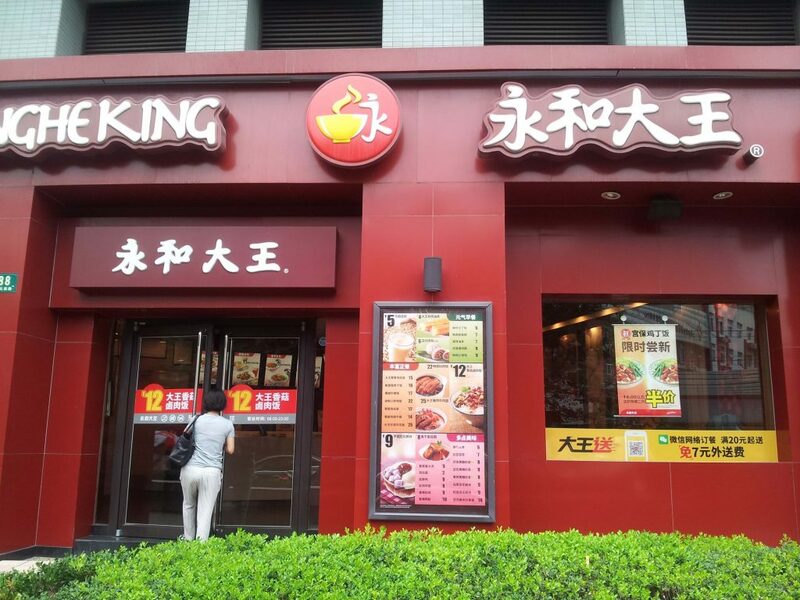 Yes, there are many fast food chains in China that specialize in Chinese food. I am not talking about the famous chain brands like Panda Express or Chinese style buffets. Although they are good, they just aren’t that authentic. Chinese food abroad has been greatly influenced by western culture, especially when it comes to fast food. Actually I think the concept of fast food itself in China is from the west. Traditionally, Chinese people believed having a meal shouldn’t be a fast thing at all. Only by “细嚼慢咽” can you really enjoy the food you are having. But this has begun to change, today, Chinese people might be the busiest in the world! So the fast food industry has grown. I am going to list the best Chinese style fast food chains below. This is a personal list based on my own experience and taste. My criteria are: taste of the food, environment, service and quality. Similar to most of the Rating apps’ standards! 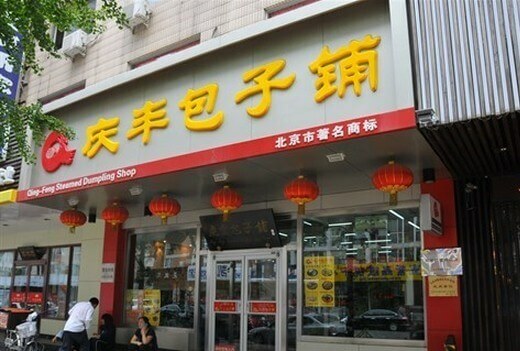 I also picked these restaurants as you can find branches easily across all of China. 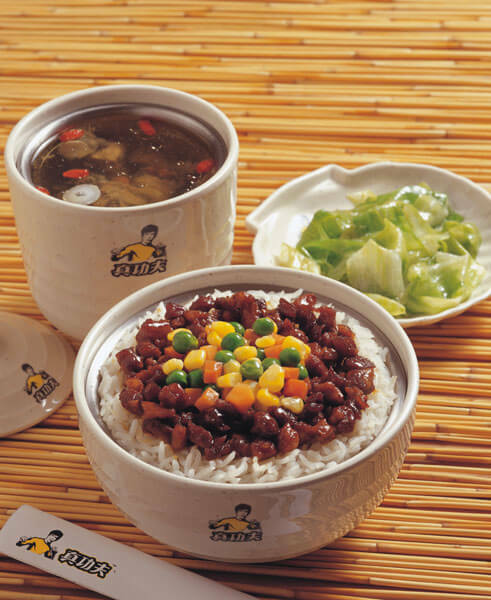 Real Kungfu offers one of the most common types of meal, “盖饭” gài fàn, a set of meal including a main dish with rice. You can choose different dishes made with meat or vegetables. The dishes have a neutral taste in comparison to other cooking styles in China, like the Sichuan cuisine which is fairly spicy. I will recommend you the most popular chain from that part of China later in this list! 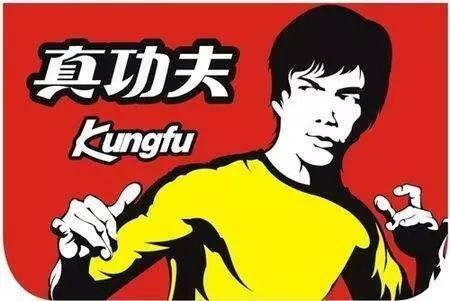 Real Kungfu is a restaurant that offers dishes combining the characteristics of different regions of the country. But the taste is closer to Cantonese dishes. This means the dishes are quite mild. The best thing for me is the soup they provide, which is usually made with corn and ribs. It has a very fresh taste and can make you feel warm especially in the winter! What’s the most popular Chinese breakfast?! The answer is freshly made soybean milk with fried churros. This set is often called the national breakfast. But 豆浆 (dòujiāng) is not just for breakfast, it can be drunk with most meals. Do you believe that even the KFCs in China offer soybean during their breakfast deals! 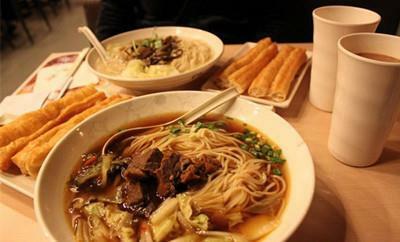 But the best place you can grab a cup of tasty soybean milk and fried bread sticks, is Yonghe Soybean milk. In China, it’s pretty common to see people holding a cup of soybean milk and a fried bread stick rushing to work. 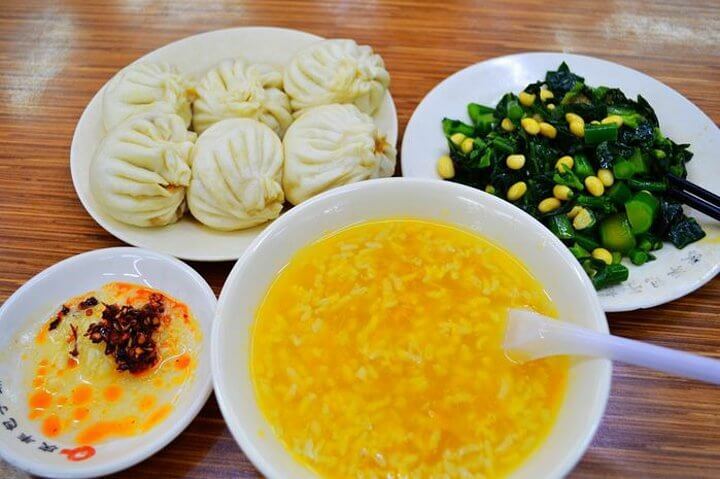 Talking about Breakfast in China, there are two classical sets: Soybean milk + fried bread stick, and baozi + porridge. The soybean milk and fried bread stick are seen as such a popular match that they are even described as two lovers. Recently they have also started to offer soybean milk ice cream! Don’t miss the change to try this when you come to China! This is a must try, not only for foreigners but also for locals. The brand has long been popular in China, especially in Beijing long before the visits of celebrities like President Xi and the former first lady of the US, Michelle Obama. As the name of the store suggests, steamed stuffed buns are their signature dish. 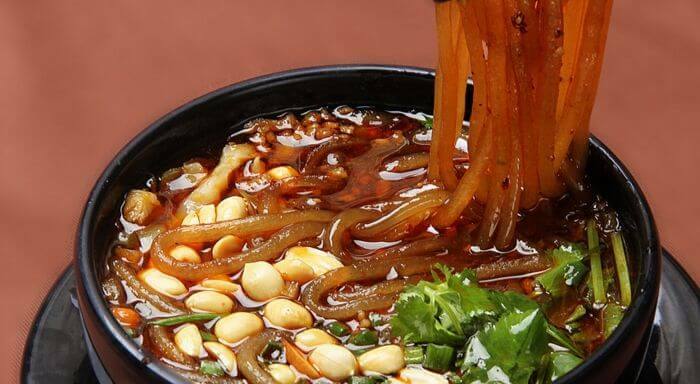 包子 is another nationwide loved food in China. It is a very healthy everyday food. Inside the soft doughy surface, it is filled with stuffing usually made up of a mix of vegetables and meat. With so many fillings to choose from it can fit almost every kind of dietary requirement and taste. My favorite filling is the three delicacies, which as the name refers, is usually made by three types of meat, like shrimp, pork and eggs. It can’t compare to any other fillings! They also offer authentic traditional Beijing snacks. The above three are all merchandized chain stores. Now I am going to recommend two restaurants that are not a single branded chain but are super popular nationwide. They have strong regional characteristics. 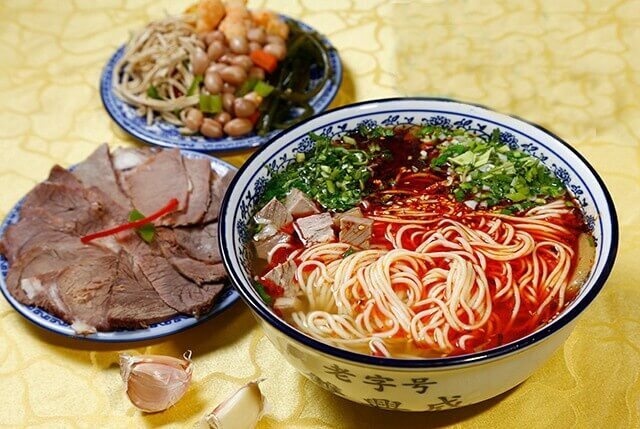 The first one is Lanzhou beef noodles. Because of this even today there is a law prohibiting a price raise for the beef noodle, as it is the daily food for so many citizens. So, how does it taste? The essence of this dish is the soup, which is bone soup boiled for hours, making it really delicious. The noodle is salted and a bit chewy. When in the restaurants, you can watch the cook pulling the dough into thin noodles by hand through a pulling and hitting motion on a wodden board. If you feel confident in your Chinese, you can even ask them to pull the noodle into a specific size. Although the cooking of the soup takes hours, cooking the noodles just takes a few minutes. So it still can be considered a fast food. The noodle contains beef, chopped green onion and coriander. To make it even tastie I suggest adding some of the available spice and vinegar. Is there a city in your country that is so famous for its snacks that across the country you can find stores that are named after that city? In China, there are such cities, Lanzhou is one of them, but the most well-known is Chengdu, the capital city of Szechwan (Sichuan). You probably have heard about this place in China before as it is so well-known for its food and of course pandas! Chengdu, as the capital city is a representative of Szechwan. So what is the characteristic of Szechwan food?! Spice, spice and more spice! Going into any restaurant you will find that almost every dish on the menu has a hot chili pepper logo on it. The only difference is how any peppers it has, which indicates the degree of hotness. As Szechwan cuisine is a very large cuisine system, Chengdu Snacks does not exclusively provide only one or two signature dishes. On the contrary, you will have a variety of choices, ranging from formal dishes to street snacks. But you don’t need to worry about not knowing the Chinese words on the menu, the photos will be a good reference. If you’d like to try some Szechwan food during your stay in China, try to find a Chengdu Snack store close to you! I am going to wrap up here, but next time when you are in China and haven’t done much research about what to eat, remember to go to the places listed above! I bet they will not disappoint you.